In 1991, Indian filmmaker, art historian and photographer Benoy K. Behl became the first person to take pictures of Buddhist paintings inside the Ajanta Caves, a UNESCO World Heritage Site in the Maharashtra state of India. The experience had a profound impact on him, he told The Korea Herald in an interview, adding he came out of the dark caves enlightened by what he saw. 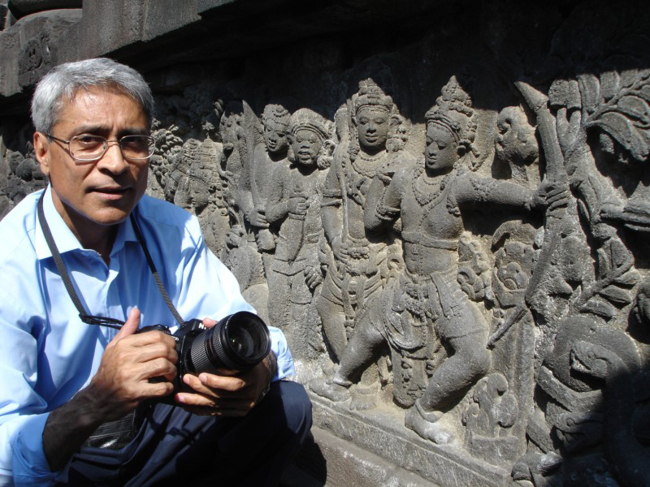 Behl’s illustrious career includes 50,000 photographs and 142 documentaries of Asian monuments and art heritage. His photographs have been exhibited in 59 countries in partnership with governments, religious institutions, academia and media. He holds the Limca Book Record as the most traveled photographer and art historian in the world. In January 2008, he became the first Indian to be featured in the National Geographic magazine, followed by extensive coverage by the BBC. From Tuesday to Wednesday, Behl participated in the Culture Communication Forum -- an annual conference that invites global opinion leaders to experience, discuss and promote Korean culture -- organized by the Corea Image Communication Institute, a nonprofit public diplomacy organization. Korea’s rags-to-riches growth has come about through discipline -- a cultural value -- he stressed, warning the nation could follow a reverse trajectory without taking stock of its origins. “If we only modernize, leaving behind our roots, then our children grow up without our cultural values. It will eat away at the foundation of your economic successes,” he said, responding to the fact that South Korea faces a rapidly shrinking population with the lowest fertility rate -- 1.05 per woman -- among member countries of the Organization for Economic Cooperation and Development. As a practicing Buddhist, Behl said there were deep cultural and religious exchanges between ancient India and Korea, which have been largely forgotten. “Buddhism set foot in Japan through China and Korea, as Korea was at the center of all these ancient interactions. Therefore, I am certain that we will rediscover many of our lost connections once we start working together on historic research,” he said. 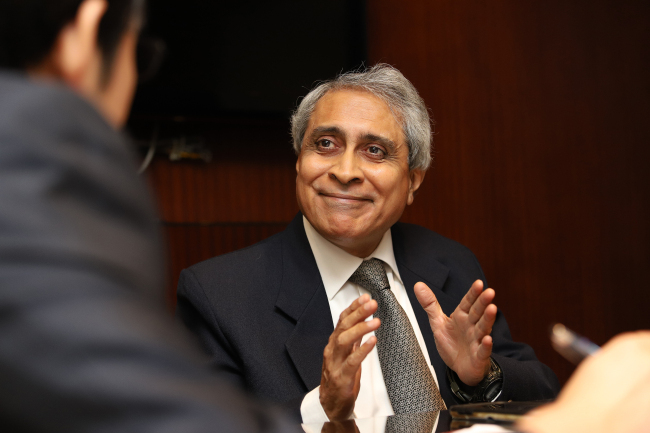 To implement Seoul’s New Southern Policy aimed at strengthening ties with Southeast Asian and South Asian countries, he added, India and Korea can take the first step of initiating exchanges and joint studies of their Buddhist heritage.